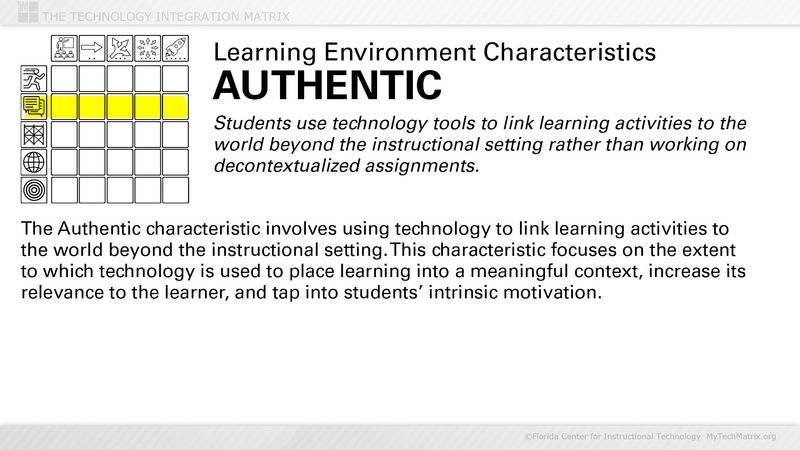 Presentation slide with text describing the Authentic Learning characteristic. 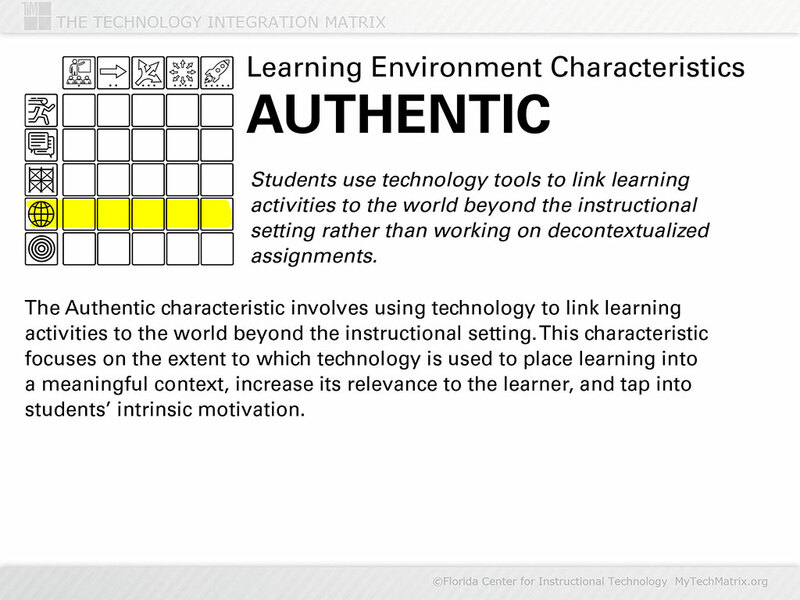 Authentic learning is one of the five characteristics of a meaningful learning environment as identified on the Technology Integration Matrix. In Authentic learning, students use technology tools to link learning activities to the world beyond the instructional setting rather than working on decontextualized assignments.